Remember to bookmark this page new Scooby Doo games added every day/week. Scooby Doo Construction Go down the hill and help Scooby catch up with shaggy. Scooby Doo Snack Dash Guide Scooby down the hill, pick up snacks and don't let the ghost catch you! Scooby Doo Snack Adventure Scooby Doo is on a mission to find Scooby Snacks using the mystery machine. Reef Relief Help scooby and shaggy solve the mystery. Lawn mowing know where to mow!Match the pattern at the right time to mow the pattern on the grass field!Now the pattern accurately or the game is over! Survive The Island Scooby Do Shaggy are stranded and have to catch the coconuts to survive. Pair Them Scooby This entertaining and enchanting search. Make Scooby collect all the bones within the boundaries. Scooby Doo Snack Machine Game Get the Scooby snacks in Scooby Doo's mouth! Scooby Doo Highway Smash Help Scooby drive the Mystery Machine through the highway and avoiding collision with the other cars. Good luck! Scooby Doo Boat Race Escape from the ghost in your little boat. Avoid rocks and grab picks to keep from sinking. Scooby Doo Patch The Pixels Arrange the scrambled pieces on the grid to form a contexture. Scooby Doo Puzzle Madness Fix the pieces exactly on the picture frame. Click on the pieces to change its direction. Scooby Doo Spin N Set Arrange the pieces correctly to figure out the image. Scooby Doos Over Board Scooby-Doo, Where are you? Rush roh. Help scooby retrieve his lost pal! Watch out for pirates and haunted obstacles! Scooby Hunt Spin N Set Arrange the pieces correctly to figure out the image. scooby Doo Hidden Objects Find out the below displayed objects, which are hidden, from the image. Find out the objects in short time duration to score more. Skater On The Beach Help Scooby Doo on his skating performance. It's time to make freestyle movements. Ask Swami Shaggy Swami shaggy knows the truth! like, ask him anything, man! Scooby Snack Machine Get the Scooby snacks in Scooby Doo's mouth! Construction Crash Course Go down the hill and help Scooby catch up with shaggy. Scooby Doo Ripping Ride One of the hardest Scooby Doo games out there. Try to balance Scooby on the surf board. Wood Carving Scooby Doo Cut the wood as required, to form the correct image structure. Scooby Stall identify the fiendish characters'desired food and serve it before the time gets over. Use mouse to click,and drag and drop the food item. Shaggy Help Shaggy avoid the falling Tombstones by moving left and right and finally make it to the end. Good luck! Scooby Doo Lost His Track Frogger remixed into a Scooby Doo game, but with much more skill required to jump. Big Air 2 Curse of the Half Pipe Skate the half pipe as Scooby or shaggy, pick your board and the halfpipe. Go as high as possible. Big Air 2 Skate the half pipe as Scooby or shaggy, pick your board and the halfpipe. Go as high as possible. 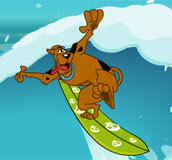 Big Air Snow Show Time for Scooby and Shaggy to snowboard and catch some big air on another remixed big air game. Scooby Doo The Last Act Escape from the ghost in your little boat. Avoid rocks and grab picks to keep from sinking. Scooby Doo Dressup Game Dress Scooby Doo before he tag along with the gang.